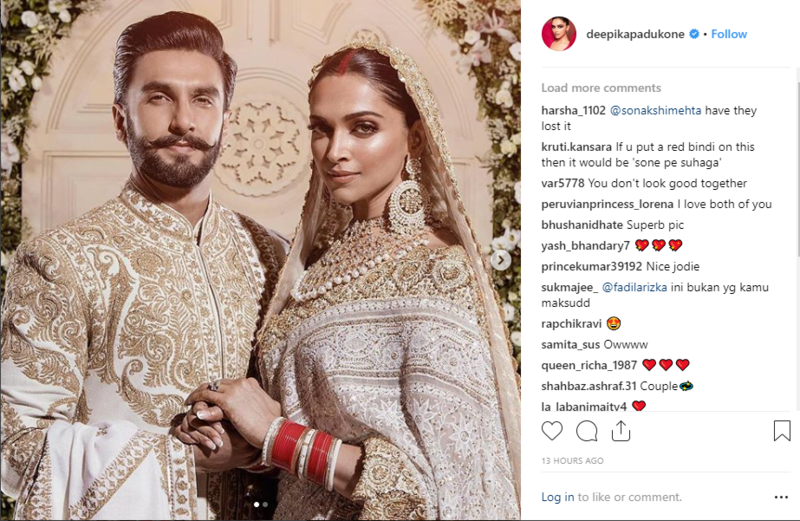 Ever since Deepika Padukone and Ranveer Singh tied the knot on November 14th and 15th, they have been making headlines, with their public appearances, grand parties, and not to mention, the adorable chemistry as newlyweds. 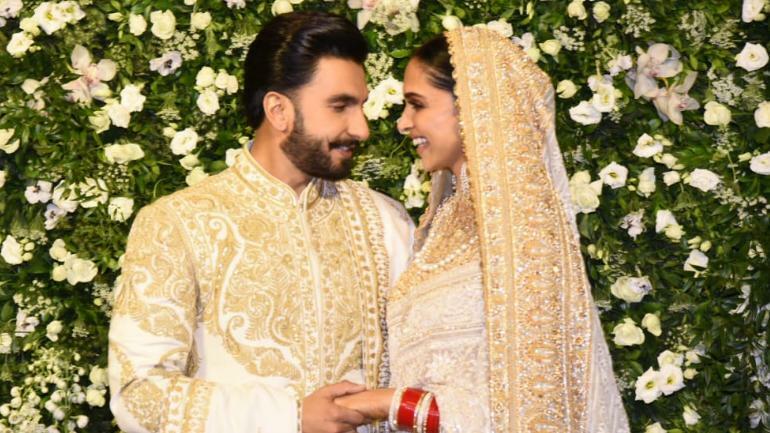 The power couple of B-town celebrated their wedding on their homeland with two grand receptions. 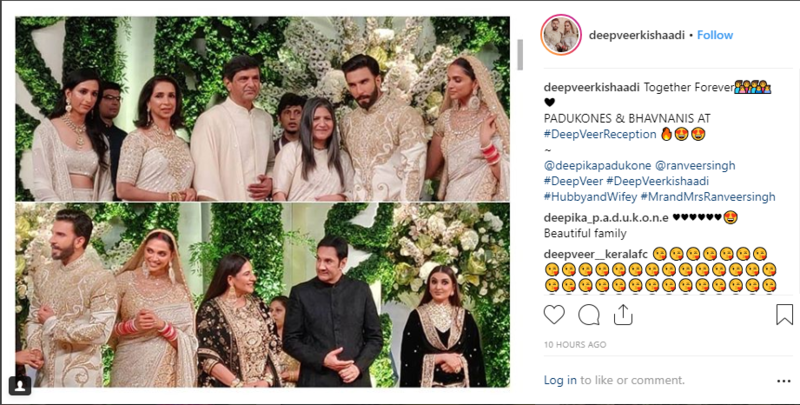 While the first one was in Bangalore, the reception in Mumbai, held on November 28th, included close friends, family members, and media, with the newlyweds looking picture-perfect in their coordinated ivory and gold ethnic ensembles. The extravagant affair was hosted at the Grand Hyatt, which was adorned in the event theme of white, gold, and ivory. 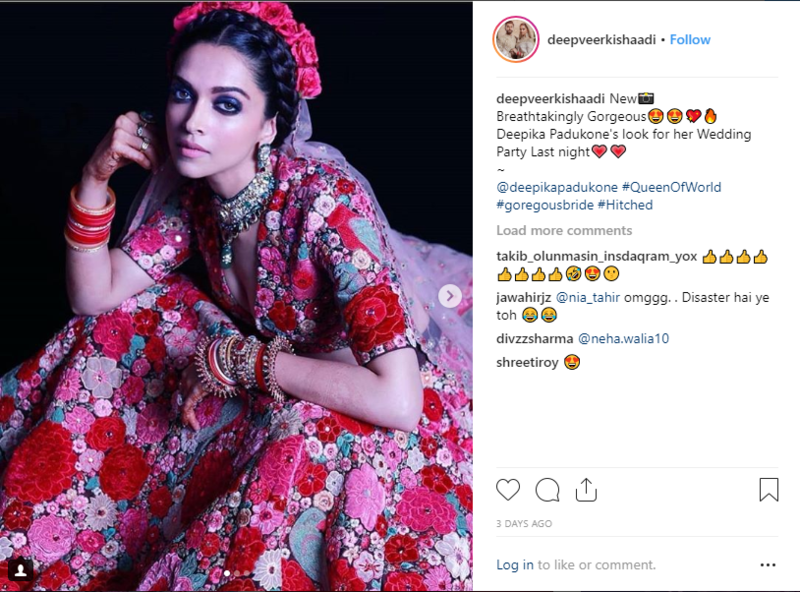 Dressed in a fine couture by Abu Jani & Sandeep Khosla, Deepika looked all regal. 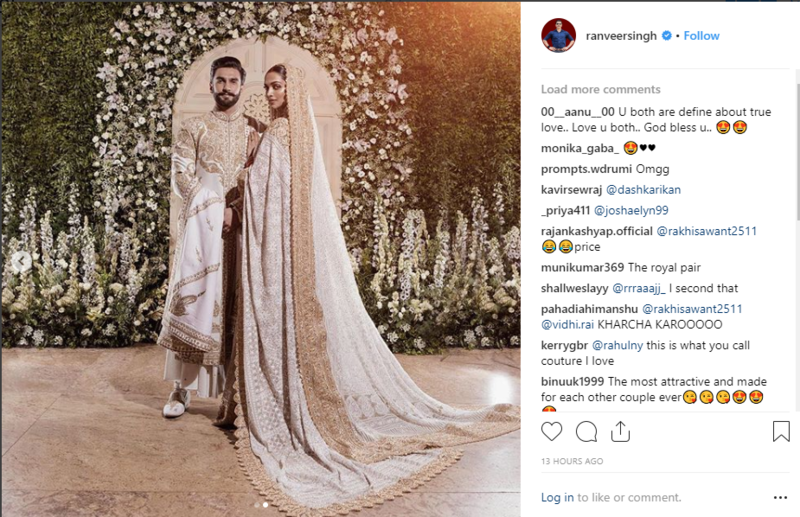 Matching up to her look, Ranveer donned a gold embroidered sherwani by Rohit Bal. On the backdrop of white flowers and a vine trellis, the couple looked no less than a fairy-tale. Despite all the celebration, the couple couldn’t take their eyes off each other. Here’s a snapshot of the couple with their respective families. 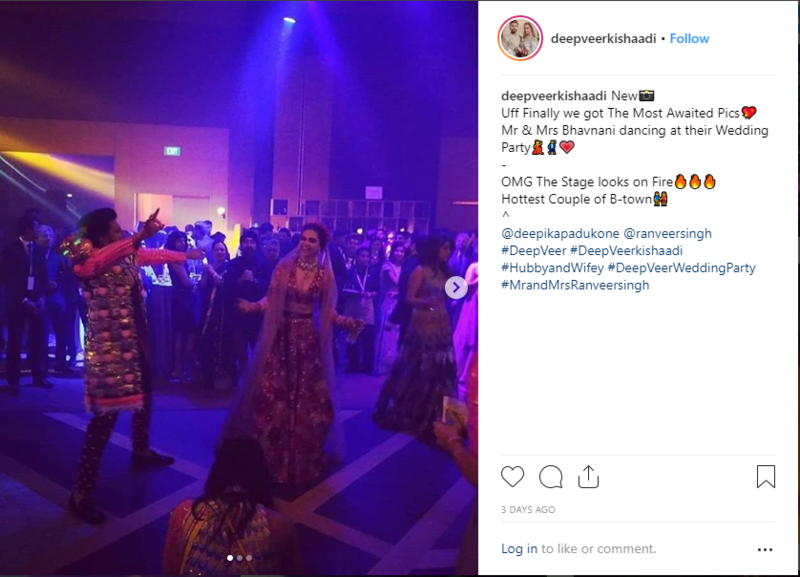 Before the Grand Hyatt reception, Ranveer’s sister organized a private party for the duo. 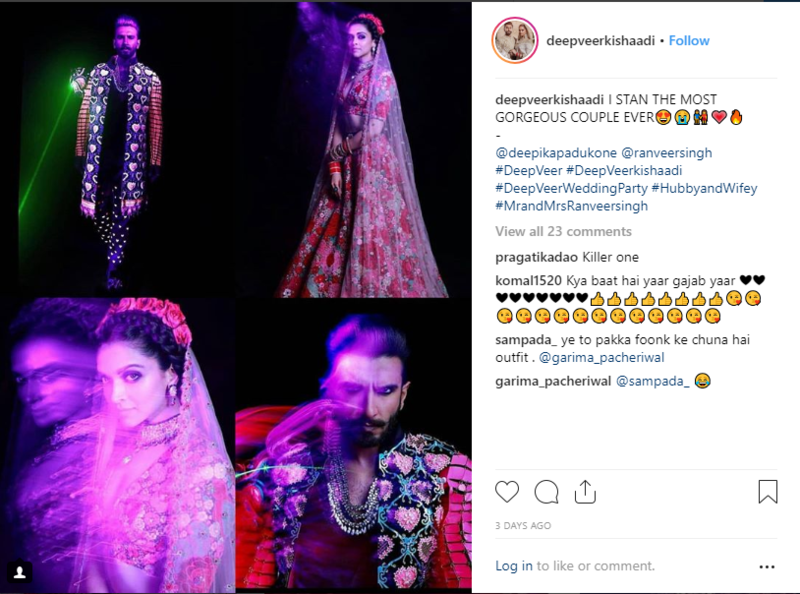 Deepika’s look for the evening was hand-picked by Ranveer. Both quirky, yet gorgeous, they owned the night with their dance. 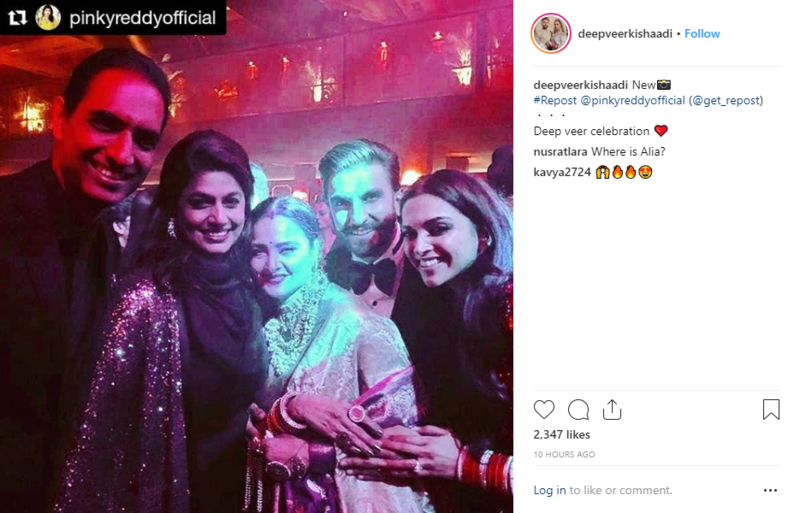 As the grand finale to their wedding saga, the newlyweds threw a lavish reception, exclusively for the film fraternity. From black, gold, and ivory, the event theme shifted to red and black. 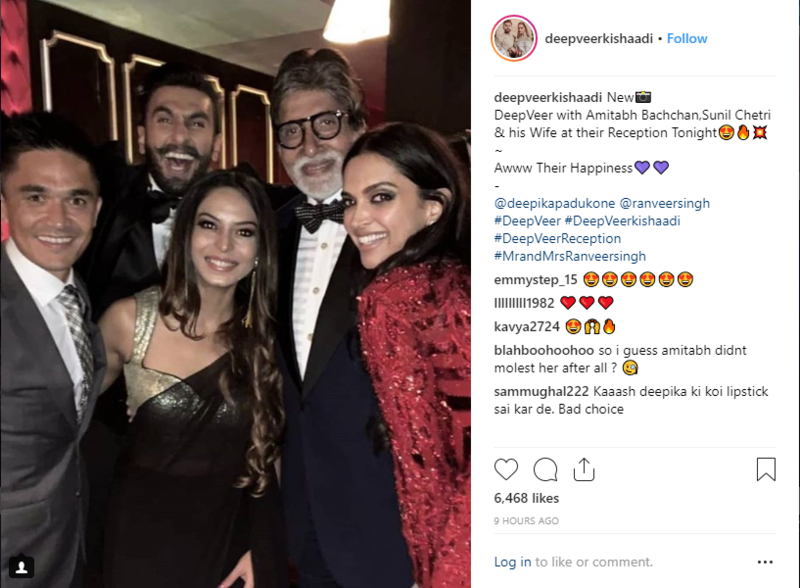 A black-tie event, the reception was attended by prominent personalities in film and entertainment. 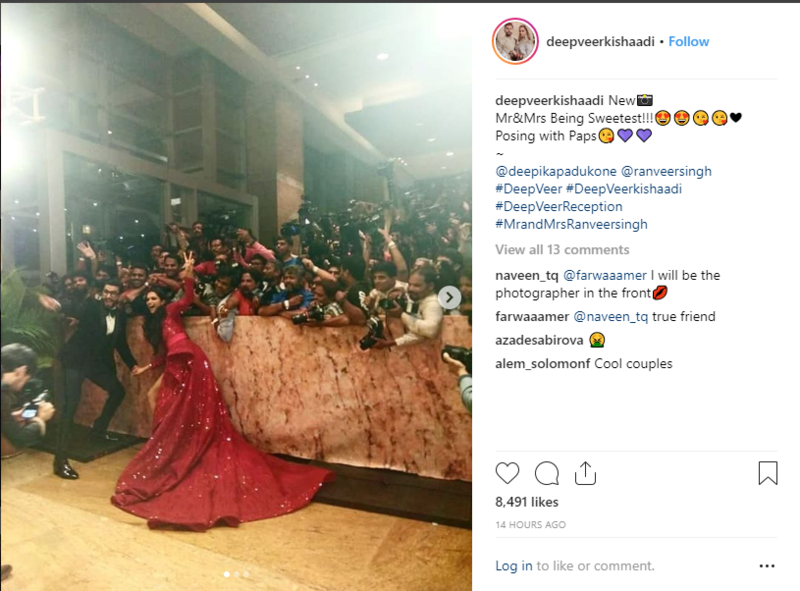 Mr and Mrs Singh were at their excited best, posing for the media. 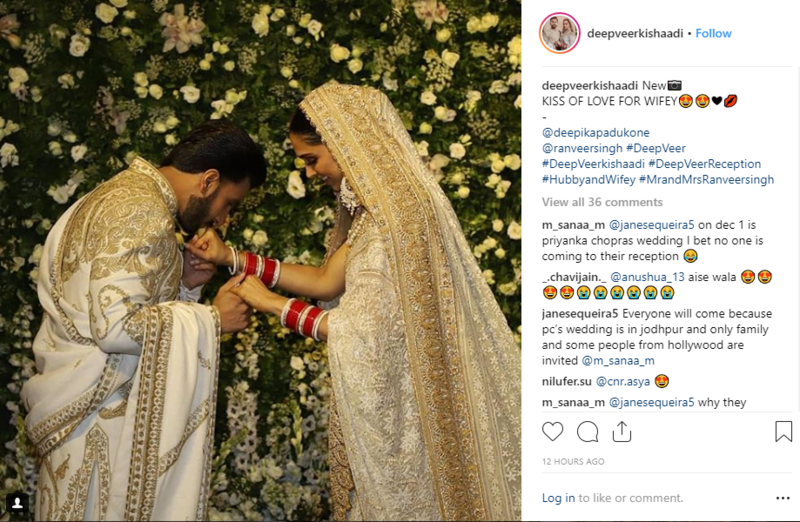 And, with that the wedding saga of Deepika Padukone and Ranveer Singh came to an end, only to mark happy beginnings for them.